Oftentimes golfers start to develop a mistimed swing because they lose control of their trailing arm. For right-handed golfers, this means their left arm falls out of sync with their right, which is either pushing or dragging. 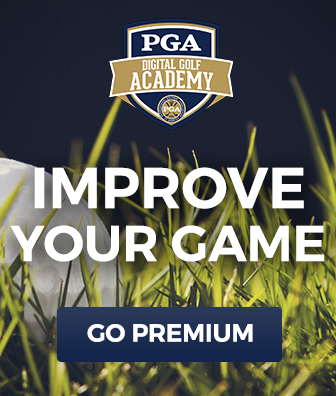 If you’re right-handed and you’ve noticed that your left arm in your golf swing is doing a little too much, PGA Professional Joseph Hallett recommends practicing a simple drill to help you get your swing back on track. 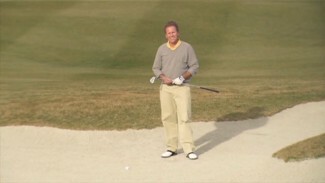 Joseph calls it the “Left Arm Only” drill, where you use only your left arm in the golf swing. 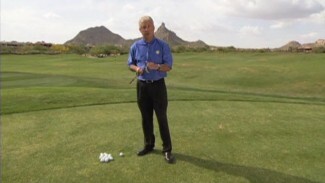 He explains how this drill can help you learn valuable information about the way you use your left arm in your golf swing, as well as how you release the club and the sequence you follow. To demonstrate the effectiveness of practicing swinging only with your left arm, Joseph shows you the proper way to complete this drill with essential swing tips. He emphasizes taking a truncated swing with the goal of hitting the ball a much shorter distance than you would normally aim. Incorporate practice drills like this into your training regimen, and see how they strengthen your left arm in your golf swing and improves your timing and control! 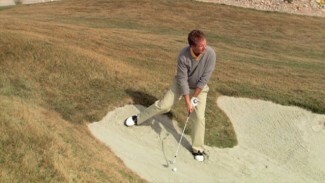 PGA Instructor Joe Plecker, Jr. shares with you fairway bunker strategies that can dramatically improve your game. Your strategy changes when you are in a fairway bunker and Joe walks you through a series of set-up features that are important to follow. You’ll see why you should play the ball in the center of your stance with your body aligned square to the target and why you should always choke down on the grip when hitting a fairway bunker shot. Follow his tips and see the positive results in no-time. 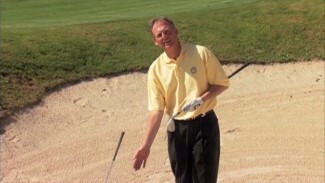 In Proper Bunker Techniques, PGA Professionals Bill Forrest and Kevin Weeks demonstrate several practical techniques for improving your bunker play. In this lesson you will learn how to correctly set your feet and position your weight so that your club head properly strikes the ball. Also included is a practical demonstration of how to vary your shot set up and swing plane in order to hit a successful bunker shot in various sand conditions.